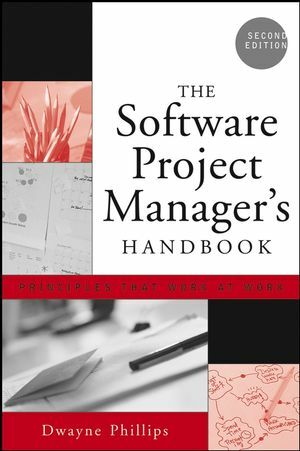 This Seventh Edition of Donald Reifer's popular, bestselling tutorial summarizes what software project managers need to know to be successful on the job. The text provides pointers and approaches to deal with the issues, challenges, and experiences that shape their thoughts and performance. To accomplish its goals, the volume explores recent advances in dissimilar fields such as management theory, acquisition management, globalization, knowledge management, licensing, motivation theory, process improvement, organization dynamics, subcontract management, and technology transfer. Software Management provides software managers at all levels of the organization with the information they need to know to develop their software engineering management strategies for now and the future. The book provides insight into management tools and techniques that work in practice. It also provides sufficient instructional materials to serve as a text for a course in software management. This new edition achieves a balance between theory and practical experience. Reifer systematically addresses the skills, knowledge, and abilities that software managers, at any level of experience, need to have to practice their profession effectively. 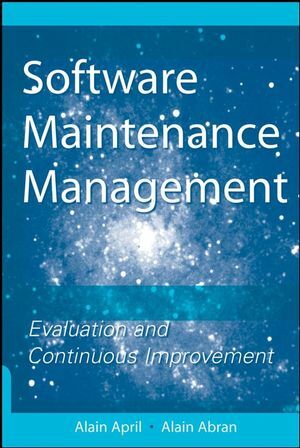 This book contains original articles by leaders in the software management field written specifically for this tutorial, as well as a collection of applicable reprints. About forty percent of the material in this edition has been produced specifically for the tutorial. "The challenges faced by software project managers are the gap between what the customers can envision and the reality on the ground and how to deal with the risks associated with this gap in delivering a product that meets requirements on time and schedule at the target costs. This tutorial hits the mark by providing project managers, practitioners, and educators with source materials on how project managers can effectively deal with this risk." Dr. 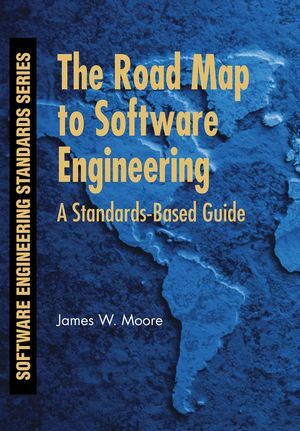 Kenneth E. Nidiffer, Systems & Software Consortium, Inc.
"The volume has evolved into a solid set of foundation works for anyone trying to practice software management in a world that is increasingly dependent on software release quality, timeliness, and productivity." Donald J. Reifer is recognized as one of the leading figures in the fields of software engineering and management with over thirty-five years of progressive management experience in both industry and government. Mr. Reifer's pior experience includes: Director of the DoD Software Reuse Initiative and Chief of the Ada Joint Program Office for DoD Software Initiatives Office, Deputy Program Manager for TRW's Global Positioning Satellite efforts, managed all of the software efforts related to the Space Transportation System (Space Shuttle) for Aerospace Corporation. Currently, Mr Reifer is President of RCI, and advises executives in Fortune 500 firms worldwide in the areas of software investment and improvement strategies. Known for his business and practical problem solving skills. He is currently a visiting associate at the University of Southern California. Mr. Reifer is a senior member of the IEEE, a member of the ACM and life member of ISPA. Member IEEE Technical Committee on Software Engineering and chairs IEEE Computer Society Professional Practices Committee. Awards include: Secretary of Defense’s Medal for Outstanding Public Service, NASA Exceptional Service Medal, AIAA Software Engineering Award, Frieman Award, DISA Service Award, Defense Mapping Agency Recognition Award, Who’s Who in the West, Hughes Aircraft Company Fellowship. 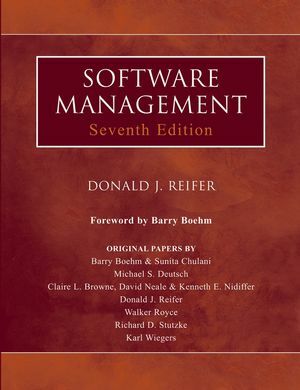 Software Management's Seven Deadly Sins (Donald J. Reifer). Principles of Software Engineering Project Management (Donald J. Reifer). The "3 P's" of Software Management (Donald J. Reifer). Why Big Software Projects Fail: The 12 Key Questions (Watts Humphrey). Critical Success Factor in Software Projects (John S. Reel). Chapter 2. Life Cycle Models. A Spiral Model of Software Development and Enhancement (Barry W. Boehm). Bridging Agile and Traditional Methods (Paul E. McMahon). Coping with the New Paradigms (Walker Royce). Successful Process Implementation (Anna Borjesson and Lars Mathiassen). The Definitive Paper: Quantifying the Benefits of Software Process Improvement (Donald J. Reifer, Al Chatmon Doug Walters). Process Improvenlent for Small Organizations (Declan P. Kelly. and Bill Cuilleton). The Clash of Two Cultures: Project Versus Process Management (Rob Thomssett). The Mythical Man-Month After 20 Years (Frederick P. Brooks Jr). Traditional Software Management Approaches (Donald J. Reifer). In-House Software Development: What Project Management Practices Lead to Success? (June M. Verner and William M. Evanco). The Nine Deadly Sins of Project Planning (Steve McConnelI). 2 1 Project Management Success Tips (Karl E. Wiegers). Requirements Management: The Search for Nirvana (Donald J. Reifer). Requirements Engineering as a Success Factor in Software Projects (Hubert F. Hofmann and Franz Lehner). The Secrets of Planning Success (Michael S. Deutsch). The Slacker's Guide to Project Tracking (James Davison, Tim Mackinnon, and Michael RoyIe). Software Project Estimation: An Overview (Richard D. Stutzke). Software Engineering Economics (Sunita Chuluni and Barry Boehm). Web Development: Estimating Quick-to-Market Software (Donald J. Reifer). Software Size Estimation of Object-Oriented Systems (Luiz A. Laranjeira). Chapter 7. Organizing for Success. Staffing and Organization in the Engineering of Systems (David W. Oliver). The Core Competence of the Corporation (C. K. Prahalad and G. Hamid). Survival Patterns in Fast-Moving Software Organizations (Lena Holmberg and Lars Mathiassen). Fear of Trying: The Plight of Rookie Project Managers (Roger Pressman). Coaching the Rookie Manager (Luke Hohmann). Training Developers in Critical Skills (Ahmed Seffah). Ten Lessons Learned from Implementing Integrated Product Teams (Paul R. Popick and Sarah A. Sheard). The Softer Side of Project Management (Janice Strauss). The Human Side of Management (T. Teal). Motivating and Keeping Software Developers (Ken Whitaker). Successful Software Management: 14 Lessons Learned (Johanna Rothman). A Tale of Three Developers (Donald J. Reifer). Chapter 10. Visibility and Control. Controlling Software Projects (Paul Rook). Earned Value Project Management (Quentin W. Fleming and Joel M. Koppelman). Software Configuration Management: A Discipline with Added Value (Tresa Butler, Verla Standley, Elaine Sullivan, and Faith Turner). Managing Software Quality with Defects (David Card). Why Bad Things Happen to Good Projects (Karen Mackey). Chapter 11. Software Risk and Recovery Management. Understanding Risk Management (Software Technology Support Center). Software Risk Management: Principles and Practices (Barry W Boehm). Large-Scale Project Management Is Risk Management (Robert N. Charette). A Project Risk Metric (Robert W Ferguson). Catastrophe Disentanglement: Getting Software Projects Back on Track (E. M. Bennatan). Chapter 12. Metrics and Measurement. Metrics and Management: A Primer (Donald J. Reifer). Back to the Basics: Measurement and Metrics (Tim Perkins, Roald Petersorn. and Larry Smith). Implementing Effective Software Metrics Programs (Tracy Hall and Norman Fenton). Software Defect Reduction Top 10 List (Barry W Boehm and Victor R. Basili). Metrics for Small Projects: Experiences at the SED (Ross Grable, Jacquelyn Jernigan, Casey Pogue, and Dale Divis). Chapter 13. Acquisition Management Issues. Software Acquisition Management (John J Marciniak). Managing Subcontracts (Claire L. Brown,David "R. A," Neale, and Kenneth E. Nidiffer). 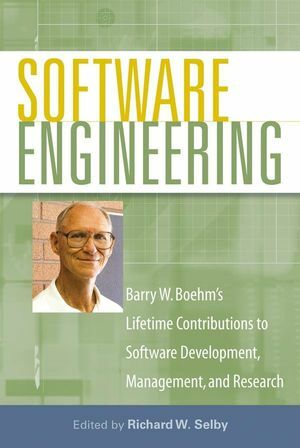 Software Licensing: A Missed Opportunity (Donald J. Reifer). Chapter 14. Emerging Management Topics. Distributed Development: Insights, Challenges, and Solutions (Paul McMahon). The Evolution of Distribution Project Management (Kenneth E . Nidiffer and Dana Dolan). Managing Product Lines, Architecture, and Reuse (Donald J. Reifer). Improving the Security of Networked Systems (Julia Allen, Christopher Alberts, Sandi Behrens, Barbara Laswell, and William W ilson). Managing at Light Speed (Lynn Carrier). Strategic Information Technology Management: Managing Organizational, Political, and Technological Forces (Keith Schildt, Suzann Beaumaster, and Marcie Edwards). Information Resources Management: New Era, New Rules (John D. Hwang). provides pointers to approaches to deal with the issues, challenges and experiences that shape their thoughts and performance. 40 percent of the material in this edition has been produced specifically for the tutorial. explores recent advances in dissimilar fields such as management theory, acquisition management, globalization, knowledge management, licensing, motivation theory, process improvement, organization dynamics, subcontract management and technology transfer. 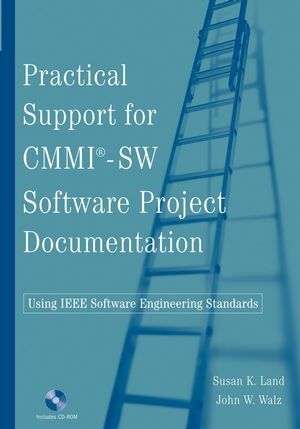 contains original articles by leaders in the software management field written specifically for this tutorial, as well as a collection of applicable reprints.